The Boston Harbor S-12-3V is a noble bronze vanity sconce with three lights. It is equipped with etched amber bowl shaped glass shades, giving this vanity sconce a refined appearance. 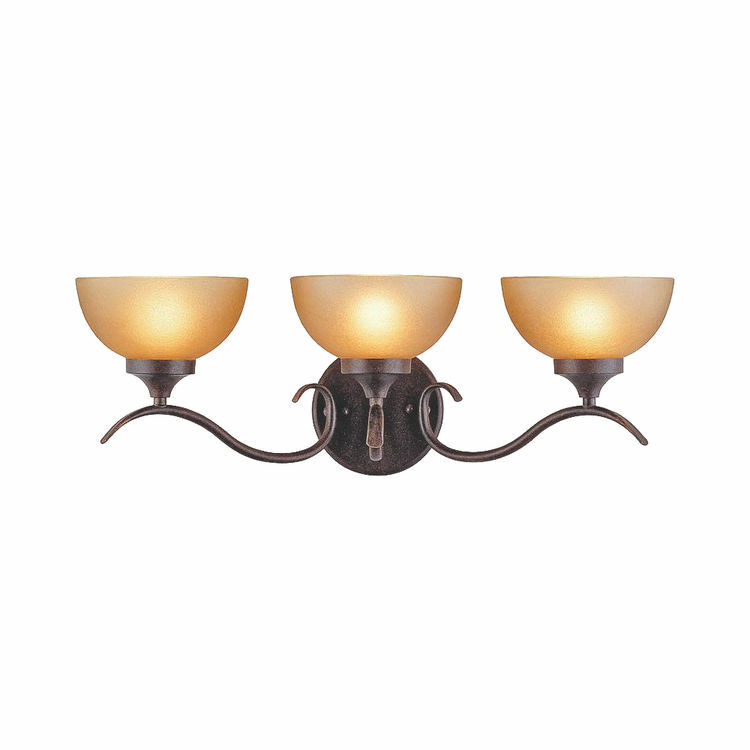 This noble bronze sconce uses three medium base bulbs (maximum of 60 watts). It is CULus-listed. 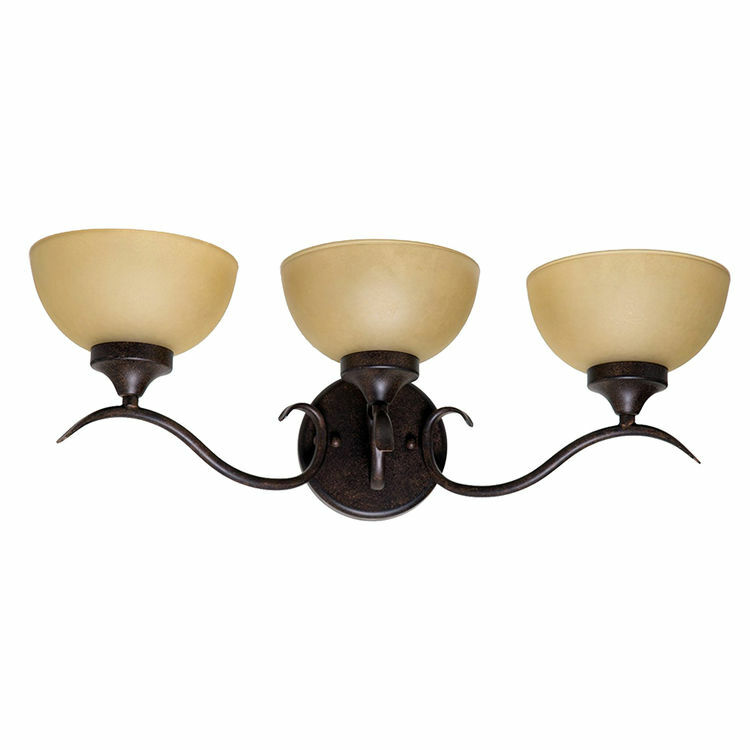 This sconce with three lights has an overall length of 8 inches and an overall width of 16-3/4 inches. This Boston Harbor S-12-3V vanity sconce comes with a noble bronze finish, providing an archaic and stately look. Here at PlumbersStock, we guarantee that you have access to the highest quality products and resources at very affordable prices. We pride ourselves in striving for excellence in every aspect of what we do. Shipping Dimensions 19.0" x 10.8" x 24.0"
Shipping Dimensional Weight 27.79 lbs.